Home Alone!! : Canary Do's & Don'ts. 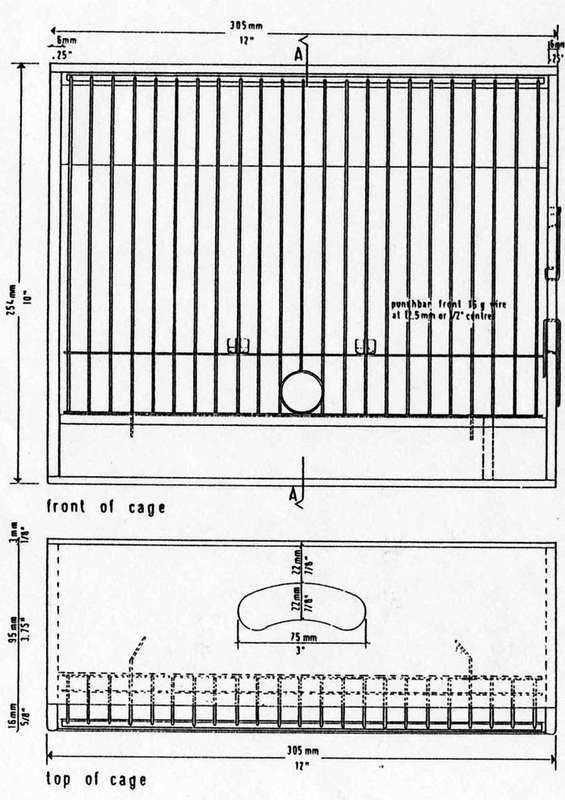 Show cages to be standard specification. 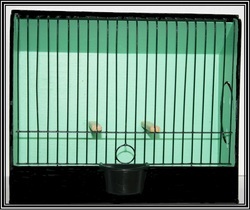 Unpainted soft wood; held using one played end and pinned into back of cage. 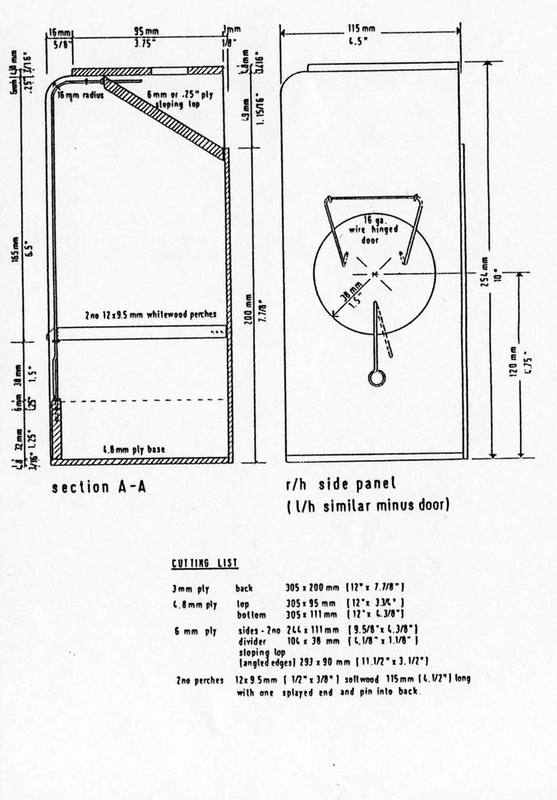 Positioned level, three wires either side of centre. Black plastic with wire hooks. Positioned left hand side of lower rail. 23 wires - ½ inch (12mm) - 16 gauge wire. Colour - Black Gloss.